The big guys have Black Friday, but for small businesses, Small Business Saturday often marks the beginning of the holiday shopping season. This year (2016), the big day fell on November 26 and hit some new records, reports the National Federation of Independent Business and American Express. Early results show that an estimated 112 million consumers reported shopping at small businesses on Small Business Saturday, a 13% increase from 2015. In addition, a whopping 72% of U.S. consumers were aware of the day. The growth of awareness and participation in Small Business Saturday is certainly something to be thankful for. Here are seven more reasons to be thankful your business is small. You can be nimble, creative and proactive. When it comes to competing with the big boys, you might not have the budget, but you have the ability and flexibility to make changes on the fly. You can easily adapt to trends in the market without going through “corporate” to make the change. 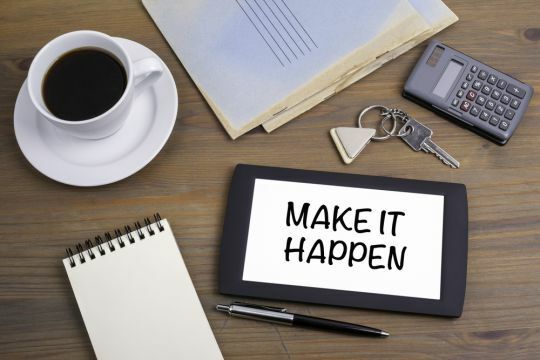 And, when you have an idea, you can run with it, allowing you to be at the forefront of new products, techniques or promotional strategies. There are fewer regulations and less red tape. Sure, every business deals with regulations and licenses, but you probably don’t have the hefty burdens big corporations face with shareholder reporting, for example. You also probably don’t have a big HR and legal department, right? When you’re ready to hire someone, you do it. Think of all the other decisions you make on a daily basis that don’t need your boss’s boss to approve, and be thankful for that. You know your employees (and they know you). Small businesses typically have fewer than 50 employees, creating work environments that are intimate and family-like. In fact, many small businesses are comprised of family members, close friends, and former work associates. 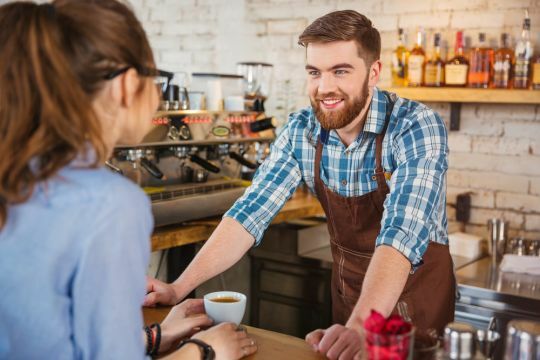 And it must work, because employees at small, locally owned businesses have the highest level of commitment to their employers, according to a Baylor University study. 4) You know your customers (and they know you). The iconic song says it all – people want to go where everybody knows their name. Customers, clients and patrons appreciate the personal touch they get with small businesses. As the owner, you can deal directly with your clients and provide high levels of customer service, whether it is personally answering the phone (even if you aren’t in the office) to providing flexible payment terms, to bringing a product sample to their office. If a problem does arise, because you have a relationship, your clients will be more likely to work with you to solve the issue than to take their business elsewhere. Work/life balance is easier. 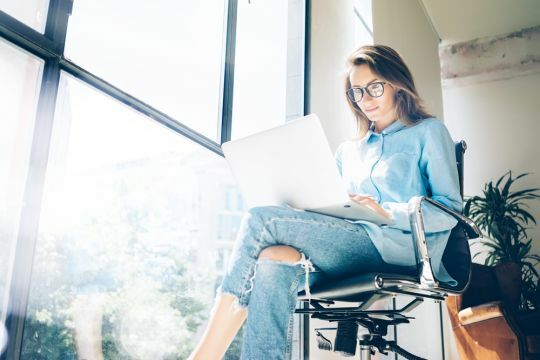 While studies show that small business owners work longer hours than the typical 40-hour work week (averaging 50-60 hours per week), they have more flexibility as to when and where they work. Be honest, you’ve worked in your pajamas plenty of times. Owners also have the benefit of being able to leave in the middle of the day for a child’s school performance or bring a pet to work or close early on Fridays during the summer. Taking risks can reap rewards. There is no question that owning a business is risky. Yet one of the most appealing things to entrepreneurs and small business owners is the potential for success, and yes, financial reward. When you are the owner, you know that your hard work will benefit you and your family directly, rather than go unrecognized or worse, get credited to someone else in the organization. And, if you are someone who likes to take control and make decisions, you can take that leap of faith into the future whenever you are ready rather than wait for layers of approval. You can get your technology in the cloud. Competing against big businesses on the technology front used to be the bane of small businesses because systems and software were expensive to buy and maintain. Today, everything you need is in the cloud, and most prices are tiered and reasonable, from your website CMS (content management systems) to accounting software to VoIP phones. With SaaS (software as a service) you can get just about any business function done with a simple subscription. And, if you decide you need something new, such as marketing automation or CRM software, there are many affordable options specifically designed for small businesses that you can implement quickly. You can get a VoIP phone system for less per day than coffee. You can send invoices with a few clicks. Information is at your fingertips and learning is easier than ever. YouTube and Google are your friends. Give thanks and go forth!